The Island Princess is your floating resort - this exotic ship will transport you to exotic locations in style and comfort! 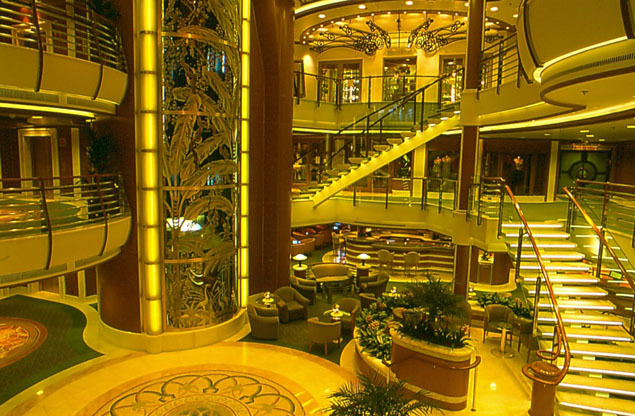 90% of the staterooms have an ocean view, with 700 balconies and a wraparound Promenade deck! Enjoy the scenery, and enjoy the myriad activities and dining options this amazing ship as to offer. You'll never forget your vacation trip on the Island Princess! 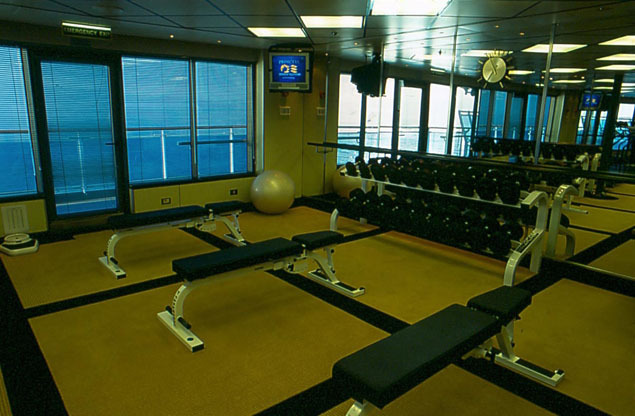 The Island Princess offers your favorite amenities, and more - all you've come to expect from a Princess cruise is here! Enjoy the Lido Pool, with its three hot tubs, or the Pirate's View hot tub and splash pool! The Lotus Spa® pool has two hot tubs, too! Speaking of the spa, you can pamper yourself all day and enjoy amazing spa treatments at your leisure. There's also a gym and fitness area that features a swim-against-the-current lap pool, as well as the Center Court for basketball and volleyball! Practice your swing with the virtual golf simulators, or enjoy the Princess Links 9-hole putting course! Head over to the chic boutiques on this amazing ship and enjoy duty-free shopping - they have designer clothes and other items at a great discount! The ship also has a world-class art gallery and collection - and they auction off some of their art for you to take home! The Internet Café has 24-hour wireless access, and there's a library too! Check out the wedding chapel, or head to a seminar with the ScholarShip@Sea® program - you can learn to cook, learn ballroom dancing, or enjoy a lecture about the ocean! Learning is fun on this ship! 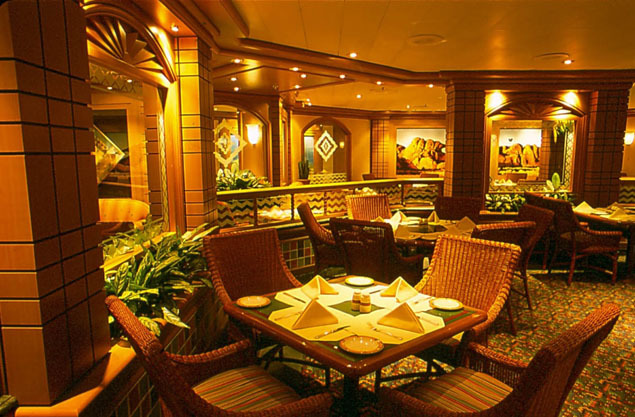 The dining opportunities on this amazing ship are out of this world! The Island Princess offers your favorite Traditional Dining, where you are served a great meal in the Provence Dining Room at the same time each day! If you'd like to eat at your leisure, the Anytime Dining is available (any time!) in the Bordeaux Dining Room. 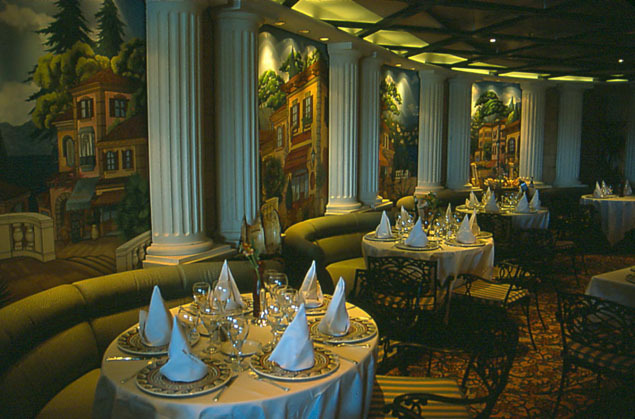 Head out for some Italian cuisine at Sabatini's, or try out the Bayou Café and Steakhouse for a great steak dinner! The Ultimate Balcony Dining option allows you to enjoy your meal along with a great view of the ocean! For a more casual meal, you have lots of other options to explore! The Grill has burgers and hot dogs, and there's the Princess Pizza parlor! Sundaes ice cream bar is great for a cold treat, and there's also a wine bar as well as a patisserie available! You can even get afternoon tea. The Horizon Court has 24-hour dining if you want a midnight snack, or you can get food delivered to your stateroom at any time with the 24-hour room service! The nightlife on the Island Princess is a sight to behold! The ship's theaters have amazing acoustics, great acts, and perfect seating. Try the Princess Theater for a Broadway-style stage production, or for a comedy act! 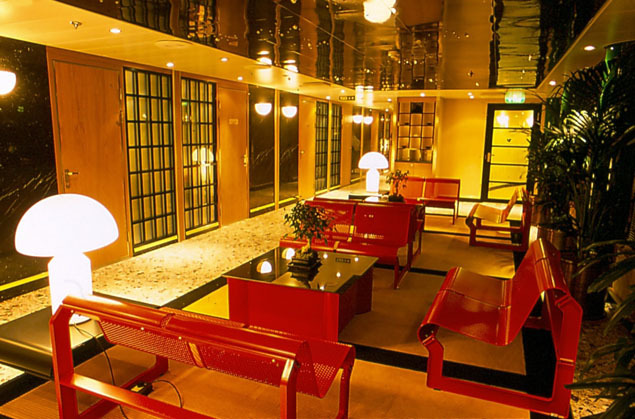 There's also the Universe Lounge - great for a live music show! 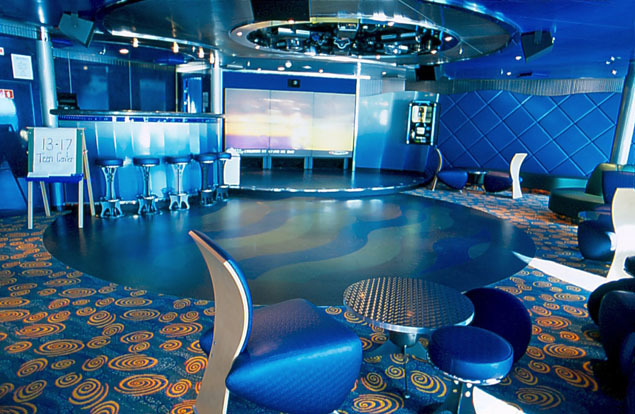 The Explorers Lounge features a nightclub-style performance every night, and you can dance the night away, too! Check out the Princess Casino, which has a Paris-themed interior, for your favorite casino games like blackjack, roulette, poker and slots! If you'd like something a little more laidback, head over to the Wheelhouse Bar, the Churchill Lounge, or the Crooners Bar. Enjoy your favorite drink with great company and an amazing atmosphere! There is something for everyone to enjoy, late into the night!